Tax Justice Network: And the losers are . . . Finally, the time has come to reveal the names of the secrecy jurisdictions that we have ranked according to both their lack of transparency and their scale of cross-border financial activity. For the first time ever, and based on far stronger criteria than those used by the OECD, we can now announce the world’s leading secrecy jurisdictions. Our new index assesses each jurisdiction on an opacity rating – how secretive the jurisdiction is – combined with a weighting according to size. We put special emphasis on the opacity score. Read more here. Counting down from number 5, we have, at number 5, the City of London in the United Kingdom, the world's largest financial centre, and the state within a state that sits like a spider at the centre of a web that includes exactly one half of all 60 secrecy jurisdictions ranked on the Index. Its satellite jurisdictions work hard to hoover up dirty money from around the world, and channel it into London. Did the sun ever really set on the British Empire? Despite ranking as the most transparent of the secrecy jurisdictions we surveyed, London operates on such a vast scale, and is so politically unaccountable, that it has the potential to do more damage than the vast majority of its competitors. At number 4, the Cayman Islands combine a truly appalling Opacity Score of 92 per cent - meaning they were awarded a credit on only one of the twelve indicators used for our assessment - with a massive scale of operation. Cayman authorities are also among the world’s leading ‘tax haven deniers’. On the basis of our evidence, they should now stop relying on spin and get their house in order instead. Few will be surprised to see Switzerland coming in at third position. Swiss bankers have earned themselves a dreadful reputation for furtiveness, political manoeuvring, and the blackest secrecy. Shame on them for scoring a brutal 100 per cent on their opacity assessment, and for constantly trying to wriggle out of cleaning up their act. And shame on the Swiss government, for tolerating this. They need to understand that the global zeitgeist is firmly against them. The Grand Duchy of Luxembourg ranks number two on the index. While not such a big player in private banking as Switzerland, Luxembourg hosts a massive hedge fund activity which attracts investors from around the world. TJN recently visited the Grand Duchy and met various bankers. Like their counterparts in other secrecy jurisdictions, they like to portray themselves as guardians of privacy. What they do not say is that it is the privacy of rich élites that they care about – that is, élites in other countries who want to evade paying their taxes. And now for the big winner of the competition for the world’s most important secrecy jurisdiction . . . . . Step forward Delaware and the United States of America. Ranked alongside 59 other secrecy jurisdictions, Delaware's commitment to corporate secrecy, and resolute lack of cooperation and compliance with international norms, places it at head of the new Financial Secrecy Index. Most ordinary people would never consider this jurisdiction alongside Bermuda, Monaco and Grand Cayman as a secrecy jurisdiction. Yet its Opacity Score is as bad as the Cayman Islands’ score, and the sheer scale of operations places it well ahead of the rest. Its status reveals a brazen contradiction at the heart of the American free market. Properly functioning markets depend on transparency and symmetric access to information, but secrecy jurisdictions like Delaware, Wyoming and Nevada purposefully set out to undermine market transparency. The also rans . . .
For access to the full index, click here. 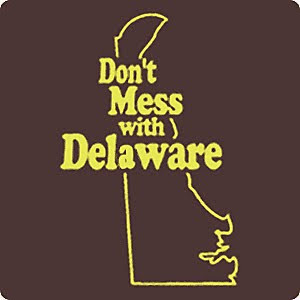 Delaware was not identified as a tax haven in the Stop Tax Haven Abuse Act. Dubious index on financial secrecy: the ABBL responds. The ABBL deplores the fact that, behind a pseudo-scientific façade, this document calls into question thereputation and standards of the Luxembourg Financial Centre in general and of its members in particular. Luxembourg is a long-standing member of the Financial Action Task Force (FATF). Its efforts to preventmoney laundering have recently been highlighted by international organisations, such as the InternationalMonetary Fund (IMF). The ABBL has serious doubts about the methods used to draw up the study. The conclusions do not reflect a serious scientific approach. And blablabla. I'm working since 23 years in the fund industry. Could you please explain me what is wrong by allowing ring-fenced UCITs? As I expected ABBL issued a press release to state that Luxembourg is not a “secrecy jurisdiction”:and respond to the Tax Justice Network jurisdiction index that ranks Luxembourg second secrecy jurisdiction. TJN like in the UK defines a lawyer as a person providing advice on the law, who prepares legal agreements or who pursues disputes through the legal system of a jurisdiction. The use of the term and the entitlement to practice as a lawyer is regulated in many jurisdictions. I don t get it. How is it that having more accountants or Big 4 firms increase the ranking of a country in the Index? Shouldn t a large cadre of bean counters be a prerequisite of transparency?